I enjoy my rare opportunities to shop at upscale supermarkets like Whole Foods Market, or here in our neighborhood of San Diego, Stehly Farms Market. In contrast to our everyday grocery stores, the produce is usually fresher and healthier-looking, more foods are available in bulk, and everything has the appearance of quality and wholesomeness. I get excited about loading up my shopping cart, preparing to stock our pantry with food we could actually feel good about eating. Then, of course, I see how much all this is going to cost—a small fortune. For people on as tight a budget as we are, that really hurts. Leaving aside the political correctness of buying free-range, genetically unmodified, grass-fed, hormone-free, pesticide-free, organic whatever, many consumers find that the price of those attributes overshadows the quality and other virtues by a significant amount. When I see a gallon of organic milk sitting right next to a gallon of regular milk that costs half as much, I know that I’d be paying for a concept much more than what I would taste on my cereal. I say all that to put today’s topic into context. The Slow Food movement is, as you might guess, an attempt to promote the opposite of fast food—to emphasize quality, nutrition, flavor, variety, sustainability, and many other worthwhile things. As someone who loves good food and who despairs at the depths of blandness and laziness to which our society has sunk, this is a concept I truly wish I could get behind. But let me give away the punch line: I think it’s missing a few crucial ingredients. An Italian journalist named Carlo Petrini started the Slow Food movement in 1986, when he saw the first McDonald’s being built in Rome. Petrini worried that smaller food producers would be pushed out of business by giant international corporations, that local specialty foods would be replaced by dull burgers that taste the same everywhere in the world, and that attention to flavor and quality would disappear as cultural values. At the same time, he felt that fast food threatened family and community by erasing time spent together eating, talking, and building relationships. The Slow Food movement aims to reverse all that. Now boasting more than 100,000 members in over 150 countries, the Slow Food movement is organized into local chapters called convivia. Each convivium holds seminars, tastings, visits to local food producers, and other events. Slow Food practices include using fresh, whole ingredients rather than processed foods; purchasing ingredients from small local or regional suppliers, and where possible, directly from the source; supporting ecologically responsible, sustainable food production, and promoting gastronomic culture—including social interaction around a dinner table. “Slow” food is not necessarily food that takes a long time to prepare or eat, though using fewer processed ingredients and paying more attention to how food is cooked and eaten will typically result in longer meals. But the point of the movement is less about time than it is about quality. I believe deeply in long, leisurely meals made with fresh, local ingredients and enjoyed in the relaxing company of friends. Every time I’ve experienced such a meal, I’ve enjoyed it thoroughly. And if every single meal could be that way, I’d be thrilled. It’s just that…I don’t have an extra hour, or two, or three every day to cook and eat; my schedule is full already. And I can’t afford to buy fresh, organic, locally produced food all the time. The problem is not that I need to be convinced of how worthy this cause is; the problem is that my lifestyle and income make it impossible for me to participate fully. If I had a job that paid exceptionally well and also gave me loads of spare time, I’d be all over slow food, but however much I might desire such a thing, it’s just not that simple. And that’s speaking as someone squarely in the middle class; to low-income individuals with even less time and less money than I have, slow food would probably make about as much sense as a gold-plated toilet. That this should be the case is a sad, sad commentary on what modern western culture considers acceptable. And OK, it’s not the fault of the Slow Food movement. Their goals are nothing if not admirable. But in this day and age, especially in North America, there are prerequisites to slow food—namely, leisure time and disposable income. The Slow Food movement can’t tell you how to achieve these things, but until you do, you’re outside their target audience. 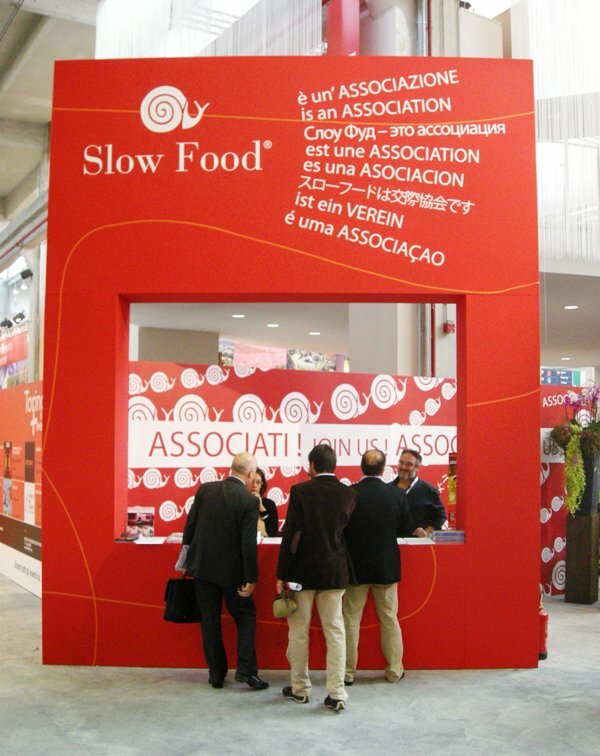 In all fairness, Slow Food is not an all-or-nothing affair. No one is insisting that every meal and every grocery purchase has to live up to these standards, or that one must never consume fast food. Surely the mere awareness of the issues and the options facing us all as consumers can lead to small but meaningful changes. And for those who are constantly busy out of habit rather than necessity, the virtues of Slow Food may be an enticement to adopt a healthier lifestyle. All the same, I’d feel a lot more enthusiastic about joining a movement dedicated to shorter work weeks, higher pay, and less stress for everyone, even if it came with fries and a Coke. Note: This is an updated version of an article that originally appeared on Interesting Thing of the Day on March 2, 2005.